The Door County Economic Development Corporation (DCEDC) is a public/private partnership dedicated to improving the economic vitality of the county and its residents. Founded in 1989, DCEDC has been successful in helping existing businesses create and retain thousands of jobs through a myriad of programs and initiatives. (You can read a year-by-year history of the organization.) Additionally, DCEDC places strong emphasis on fostering entrepreneurial instincts in county residents as well as those who vacation in Door County. Click here to download our printable, full color brochure. DCEDC partners with companies and entrepreneurs to help build successful businesses in Door County and continuously improve the area’s economic climate. It’s a relationship that allows businesses to tap into the expertise of area leaders, and provides them with access to a variety of local, state and federal resources. Click 2018 DCEDC Annual Report to view a copy of our 2018 Annual Report to investors. DCEDC is governed by an eleven-member board of directors and is staffed by an Executive Director, Economic Development Manager, Business & Education Partnership Manager, Operations Manager, and Office Assistant. 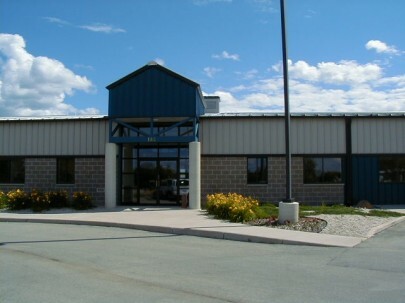 The Door County Economic Development Corporation offices are located in the Door County Business Development Center, the small business incubator DCEDC founded in 1997 in the Sturgeon Bay Industrial Park.